1st – 31st: 5th Annual “No Child Wet Behind” Diaper Drive present by the Tryon Civitan Club. Diapers can be dropped off at the UPS Store, 1822 S. Glenburnie Rd. Call 252-288-6983. 14th: Nexus Poet’s Poetry Open Mike Night, 7:30 p.m. at the New Bern Arts and Wellness Center, 919 Broad St. Call 252-617-0939. 16th: Lunch and Learn: Social Media Marketing for Small Business, 11:30 a.m. – 1:00 p.m. at the Havelock Chamber of Commerce. Presented by the Havelock Chamber and Craven Community College Small Business Center. 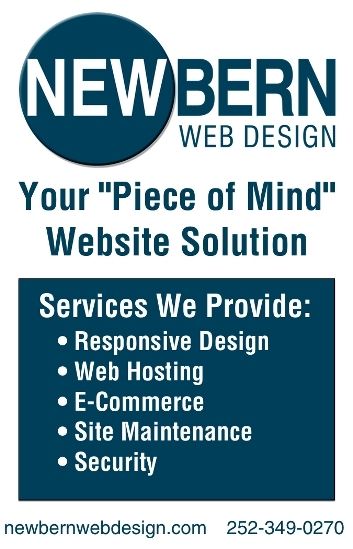 Call 252-638-1166. 16th: Spies, Secrets and Shenanigans in Civil War Craven County by Edward Barnres Ellis, Jr., 6:30 p.m. – 8:00 p.m. at the North Carolina History Center. Presented by the New Bern Historical Society. Call 252-638-8558. 16th: Buddhist Lecture with Guest Speaker Zen Priest Ryushin Hart, 7:00 p.m. – 8:00 p.m. at the Unitarian Universalist Fellowship of New Bern. 17th: Late Registration for NC Pre-Kindergarten Program and Head Start Program, 10:00 a.m. – 12:00 p.m. at the New Bern Mall. Call 252-244-3226. 17th: Lunch and Learn: Tryon Palace Gardens, 12:00 p.m. – 1:00 p.m. at the North Carolina History Center. Call 252-639-3500. 17th: “Footloose on the Neuse” Summer Concert Series: Boys From Carolina Bluegrass Band, 6:30 p.m. – 9:00 p.m. at Union Point Park. Call 252-639-2901. 18th: The Life and Legacy of Mr. J. T. Barber, The West Street School and Beyond, 1:00 p.m. at the New Bern-Craven County Library. Presented by the Historic Dryborough Neighborhood Association. 18th: Live and Local: Tryon Palace Beer Festival, 5:00 p.m. – 9:00 p.m. at the North Carolina History Center. Call 252-639-3524. 18th: Studio Open House featuring the work of Black Owl Guitars, Re-Created, Junkman’s Crossroads and The Middle Son, 5:30 p.m. – 8:30 p.m. at 304 Jimmies Creek Dr. Call 252-649-5455. 18th: “Love and Marriage” Fundraiser with Lewis n’ Clark, 7:30 p.m. at the New Bern Civic Theatre. Call 252-633-0567. 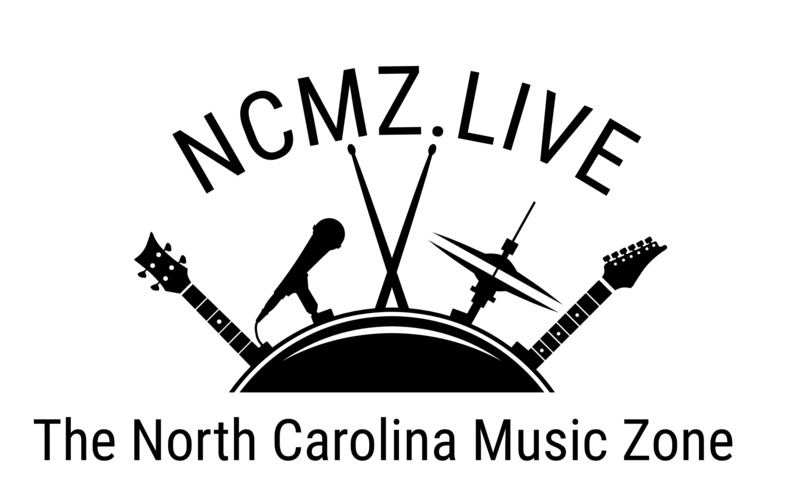 For live entertainment and music, check out August Happenings at the City Stage or visit NCMZ.live. Visit the New Bern Farmers Market and support our farmers, artists, and numerous vendors by shopping local! You’ll find fruits, vegetables, plants, baked goods, crafts, numerous handmade items, and more! Hours: Tuesdays from 10 a.m. – 2:00 p.m. and Saturdays from 8:00 a.m. – 2:00 p.m. For details call 252-633-0043. Watch a movie at the Bear Town Cinema 6 (638-1820). 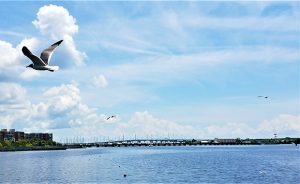 Take a self-guided walking tour or have locals take you on a tour: Cruise the Neuse Boat Tours (876-7232), Pedi-Bear Tours (649-3839), Scenic Airplane Ride by Tradewind Aviation (636-0716), Tugboat of New Bern Cruises (919-306-5712), and Trolley Tour (637-7316). Call New Bern Tours for more options (637-7316).